Four years ago, REI, the Seattle-based outdoor retailer, created the campaign #optoutside. Spawned out of a resistance to the commercial frenzy and busiest shopping day of the year Black Friday, REI went against the grain and closed the doors on all its stores. They paid their staff and encouraged everyone to spend the day outside. This year the campaign has grown and will focus on some key research and stats led by REI, showing that we can all do something to improve our wellbeing and health. While the research focused on the USA, it has been shown that the results do mirror what is also happening in the UK. “The best data we have says that, in any given year, 150 million Americans don’t spend any time outside. That’s half the country,” said REI CEO Jerry Stritzke in a statement. It doesn’t have to be an epic adventure: “More and more studies show the value of spending time outside. And we’re not talking major excursions, but small jaunts to your local park. Perhaps a park prescription is just what we all need.” You can read the full report here. Our friends at Red Paddle Co are on board and Team Tribal is joining them this year. Here at Tribal Clash HQ, we have decided to not participate in the sales frenzy of Black Friday, buying stuff that we or our loved ones don’t need. Instead, we are going to get outside – go for a hike with our dogs, go for a run in the woods down Primrose Line near our office, or do a muddy outdoor workout. Tribal Clash was born out of our love of the outdoors and the beach, and our belief that experiences shared with people are so much more valuable than things. Five years ago we invited 400 athletes to Blackpool Sands to get wet and muddy, feel the chilly waters of Start Bay and feel really, thoroughly human. 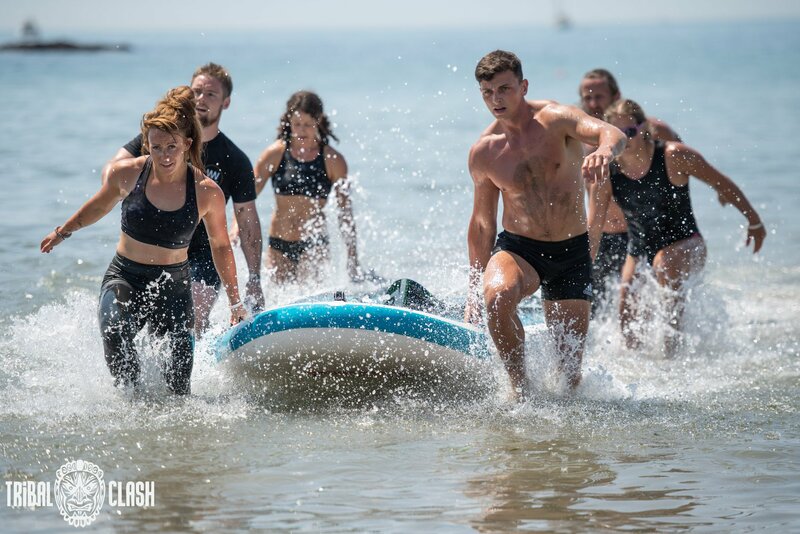 Since then hundreds of athletes have spent a weekend on the beach running, climbing, lifting, dragging, paddling, while experiencing all that Mother Nature has to offer, from torrential rain to biting winds and heatwaves. It is being outside in the elements that makes us feel truly human. We invite you to join us, by getting outdoors – by doing an outdoor workout, or how about swapping your Friday workout for a 10K run? If you have signed up to one of our competitions in 2019, you know that there will be a run, so what better way to star training than a cold November Friday! Or if you are not training, consider going for a lunchtime walk, or by wrapping up warm and having a picnic lunch.